Every week here at FITE, we feature the Top Ten ranked personalities in the world of professional wrestling. Unlike other combat sports, pro wrestling cannot be measured in just wins and losses, especially when the drama and excitement of the genre is specifically based around not just the physical performance, but the excitement level created by its combatants. Thus, our top ten measures the most newsworthy performers in the business, who's momentum drives not just their own career paths but the promotions they compete for. It is a tremendous feat to go from not being under consideration for the FITE Rankings to debuting for the first time in the top position. It's even more amazing to do so without even officially wrestling, but that sort of accomplishment is exactly the sort of roller coaster ride former WWE champion Daniel Bryan has been on the last several years of his life. Bryan was considered retired and relegated to his role as the WWE Smackdown General Manager. Then, WWE issued an announcement that Bryan had finally been cleared. Immediate joy spread across the Internet, followed by countless mainstream publications and outlets picking up the story. Bryan's emotional speech to open Smackdown Live this week, followed by the brutal beating he took at the hands of Kevin Owens and Sami Zayn only topped the emotional outburst of Bryan jumping right back into the deep end of the pool. Daniel Bryan's return to WWE as active performer is just the prologue of a larger narrative, one that Bryan and his fans alike are excited to dive into. This week, no one else could be ranked higher. For many, WrestleMania came a few weeks early. The landscape has changed. Daniel Bryan has returned, an exclamation point on all that is great about professional wrestling. Nothing is more newsworthy than that. The WWE Universal champion returned with a fierce, violent vengeance this past Monday on WWE's Raw, and in doing so, reminds all how impactful Brock Lesnar would be if he appeared every week for World Wrestling Entertainment. Lesnar's brutal beatdown on a handcuffed Roman Reigns was exactly the sort of act that was needed to set the stage for their WrestleMania showdown. Lesnar previewed that destruction with an entertaining victory over Kane and Braun Strowman at Madison Square Garden. 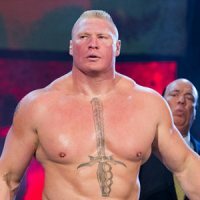 Lesnar's unique deal with WWE means he doesn't appear enough and disappears regularly from the FITE rankings, but when he does, it's as it two tectonic plates have careened into each other, with a massive ripple effect that follows. This week was just a reminder of what could be - and a preview of what a massive spectacle Reigns vs. Lesnar will be. Asuka continues to be the most talked about woman in professional wrestling as she pushed onward towards her challenge of Smackdown Women's champion Charlotte Flair. This past week, she continued her undefeated streak with wins over Mandy Rose at WWE live events before trouncing the Raw Women's champion Alexa Bliss so thoroughly, Bliss was counted out retreating from the ring. It takes a special talent to cultivate interest in not only a major match at WWE's flagship event but on both of WWE's top brands at the same time. 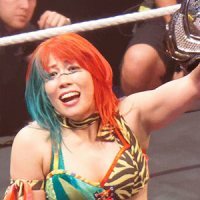 Asuka carries herself with every bit of swagger and strength that a top star requires to turn heads and make a viewer take notice. She is the talent that all pro wrestlers, male and female alike, should keep in mind as they strive for greatness. John Cena retains his position on the FITE Rankings this week as he continues his pursuit of a match against The Undertaker at WrestleMania. Cena's angry, taunting promo delivery this past week on Raw brought on a divisive reaction, with some feeling it was too illogical for his on-screen persona while others were impressed with the sheer intensity brought on by the former WWE champion. 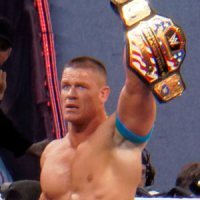 Cena continued to rack up wins at the WWE live events this week, but the anticipation he brings for the potential dream match - one that WWE has worked for years towards bringing to the WrestleMania stage, only to have real life force those plans to be halted - continued to resonate with pro wrestling fans around the globe. Will Undertaker appear? If so, what does that mean for Cena? Who wins the showdown? These sorts of questions only stoke the fire that Cena lit and continues to feed. That's what pro wrestling is all about. What can one say about Woken Matt Hardy? The veteran has continuously recreated himself, enthralling pro wrestling fans in the process. In recent weeks, Hardy has taken his eclectic personality and put it on full display, headlining Monday Night Raw against Bray Wyatt in the first-ever Ultimate Deletion match. Filmed on location at the Hardy Compound in North Carolina, importing many of the techniques and hallmarks of Hardy's Impact Wrestling innovations, the match brought forth an explosion of attention on social media platforms. While Hardy scored the win to allegedly end the Great War against Bray Wyatt, "deleting" him in the process, the true victory was in having his vision and his match brought to the WWE global audience. It is nearly impossible to pioneer something different in an age where every theme has been mined into a theme park, but Matt Hardy was able to plant this flag in the minds of pro wrestling fans this week. For the first time ever, we have a tie in the FITE rankings as it is impossible to split the atom on Smackdown Live's villainous duo. After their entertaining and violent beating of Shane McMahon last week, the favorite sons of Montreal were fired by Daniel Bryan. That act led to their attack and beating on Bryan, who was celebrating his first official day of being cleared by WWE officials as a professional wrestler. All of this was undoubtedly done to set up a WrestleMania showdown. Every great hero needs a foe to overcome, an obstacle that stands in the way of joy and accomplishment. Zayn and Owens have morphed into the perfect foil for Smackdown's heroes. Owens and Zayn stand tall together, and for the first time ever, became a tandem ranked together. Their careers will be forever intertwined, and for good reason, they amplify the best of each other. Whether it be her strategic retreat against Asuka or her escape from a marauding Nia Jax on Monday Night Raw, Bliss has continued to portray the perfect villain during her reign as the WWE Raw Women's champion. She has perfectly meshed her obnoxious personality, great in-ring skills and snotty facial expressions, crystallizing them into exactly the type of character she needs to be. With a WrestleMania showdown announced against Nia Jax, Bliss will have a great platform to excel, showcasing why she's evolved into one of the best female performers in the world. At five feet, she stands tall over all, having overachieved on a weekly basis. With his victory on 205 Live this week over Drew Gulak, Ali solidified his WrestleMania debut, facing off with Cedric Alexander to determine the new WWE Cruiserweight champion. One of the more under spoken personalities in the loud, vibrant world of professional wrestling, Ali lets his in-ring finesse and high-flying style do the speaking for him. His victory over Gulak was hard fought and entertaining, bringing the audience on an emotional journey the likes of which we had not seen out of either competitor thus far in their WWE tenure. Ali dedicated the victory to his mother, who was ringside, making the moment all that more relatable and wonderful, bringing Ali to the FITE rankings for the first time. Reigns' "suspension" this week on Raw didn't prevent him from appearing on Raw, albeit is as a victim to the WWE Universal champion Brock Lesnar. It was a stunning, brutal beating, but a segment necessary to build sympathy for Reign as he attempts to overcome Lesnar and become victorious at WWE's massive event in New Orleans. Prior to his beating and stretcher ride on Monday Night Raw, he headlined a series of events, winning six-man tag team bouts that headlined Raw's live events over the weekend, including a major show in New York City. Reigns' placement this week is no fault of his own but is more the result of how much everyone else has stepped up their game on a week where WWE's creative strategy forced Reigns to take a step backwards. In the weeks to come, expect Reigns to make his competition work even harder to keep up with his pace. Mike Johnson is the lead reporter for PWInsider.com and has been writing about professional wrestling since 1996. He can be found on Twitter @MikePWInsider.